Mary E. Pugh, founder of Pugh Capital Management, a successful investment firm in Seattle, was the first black woman and youngest person to be named Senior Vice President at Washington Mutual Savings Bank. Born to a Boeing engineer father and real estate agent mother, Pugh’s family lived a relatively comfortable lifestyle. She attended Lakeside School in Seattle and graduated from Yale University in 1981 with a B.A. in economics. In 1981, Pugh returned to Seattle and became an investment analyst for Washington Mutual Savings Bank. Throughout the decade, she successfully bought, sold, and managed hundreds of millions of dollars of securities for the savings and loan and in 1989, at the age of 29, she became the youngest person to be named a Senior Vice President at Washington Mutual. She took the post as Washington Mutual was becoming the largest savings and loans association in the nation. As Senior Vice President, Pugh managed the company’s $1.2 billion portfolio of trust assets. In 1991, Pugh founded her own institutional investment firm, Pugh Capital Management Inc., along with business partner, Scott Greiwe. Washington Mutual became her first client where she managed five million dollars of assets for its employee-pension fund. By 1995 Pugh Capital managed $75 million for ten clients that included the University of Washington, the Young Women’s Christian Association (YMCA), and the Seattle Times. In 1999 the firm was awarded the $200 million Boeing pension assets account. During this time Pugh returned to Washington Mutual as a member of its Board of Directors where she chaired the finance committee. However in the midst of a nationwide economic collapse in 2008, Washington Mutual lost billions of dollars and became the largest bank to fail in United States history. Pugh was among the directors whom shareholders blamed for the massive losses because of her position as chair of the finance committee. On April 15, 2008, Pugh resigned under pressure with the expectation that she would have not been re-elected by shareholders. Nonetheless, Pugh continued to thrive in a field where few women, and even fewer African Americans, were nationally known. Pugh Capital Management today manages over $1.3 billion in assets and has over 30 clients. The company continues to focus on fixed income investment management. It is rated as the 13th largest African American owned asset management firm in the nation and is the largest on the West Coast. 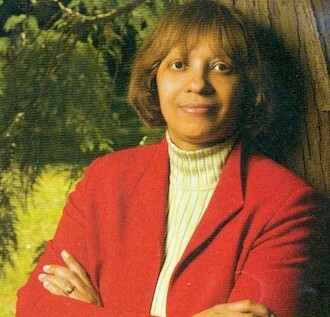 Mary Pugh also used her business experience to promote financial literacy in the black community in Seattle. In one instance, she invented a mock investment game to help black students learn how to manage portfolios. She is a member of the Seattle chapter of the Links and contributes to the Rainier Scholars Program which mentors and tutors kids from impoverished backgrounds for college. Pugh is also a board member of the Seattle Foundation and serves on the investment committees of the YWCA of Greater Seattle, the Seattle Academy of the Arts and Sciences, and the University of Washington. Pugh lives in Seattle with her husband Michael Scoggins and continues to serve as CEO and Chief Investment Officer of Pugh Capital Management, Inc.
Richard Buck, “Secret of My Success-From the Fast Track to Her Own Track,” Seattle Times, May 13, 1991; Richard Buck, “Investment Manager’s Views Are Worth a Listen,” Seattle Times, Feb. 27, 1995; Joe Nabbefeld, “Pugh Lands Boeing Account,” Puget Sound Business Journal, May 2, 1999; Kirsten Grind, “WaMu Director Quits, Others Voted Down; Thrift Loses $1.14B in Q1,” Puget Sound Business Journal, Apr. 15, 2008; Carol N. Wu, “Save, Save, Save, Advise Women of Color,” Northwest Asian Weekly, Feb. 18, 2000; Andrea James, “Making History: One Woman’s Investment in Financial Literacy Adds Up,” Seattle PI, Feb. 11, 2007; Quin’Nita Cobbins, “Black Emeralds: African American Women’s Activism and Leadership in Postwar Seattle, 1960-2000 [unpublished manuscript], 2013; Kirsten Grind, The Lost Bank: The Story of Washington Mutual-The Biggest Bank Failure in American History (New York: Simon & Schuster, 2012). “Save, Save, Save, Advise Women of Color,” Northwest Asian Weekly, Feb.